Once more into the vault my friends, once more into the vault. Step back in time, to a time when the modcast was young and fresh. Take a giant step outside your current listening constraints and journey with me back to Christmas of 2009. I've opened up the vaults and dusted off a classic modcast that I think you'll enjoy. Again. One day until Christmas and you can unwrap a brand new swingin' Christmas Xtravaganza. Until then, here's a little something the wet your whistle, to get you into the full-on Christmas spirit. This is the first swingin' Christmas Xtravaganza from last year. Don't over indulge. No matter what the neighbors think, this is one cool and smooth modcast. I've enlisted Ken from The Shingles to join me in delivering a Christmas dozen -- that's 14 great songs. 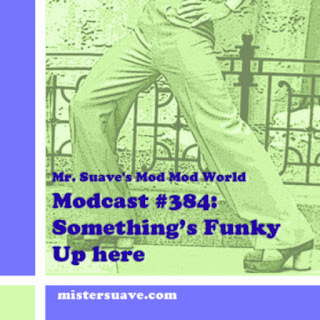 This is one holiday modcast that will go down in the history books with some great stuff from Miles Davis to The Very Foundation, from Farrah to Girl Trouble. It's all good, and it's all merry, and you're going to love it.